Type Of Balcony: For long and narrow balconies, smooth out corners with grouping of multi-leveled trees, shrubs, and plants. Choose trees and shrubs that flower during spring, are green in summer, change leaf color in autumn , and display stark bark in winter. Keep in mind the weather conditions to which your balcony is exposed, such as wind, sunlight and rain .If your balcony is large, you can put a couple of garden chairs with a table or a chair- hammock to read in. For smaller balconies, you can opt for small ‘moodhas’ or simply a rug. Sketch out a Plan: Before you proceed to make a garden, first sketch out a plan to know how much room you have for plants, containers , and any furniture such as chairs and coffee table. Include all the architectural features of your balcony such as windows, doors,railings and walls. 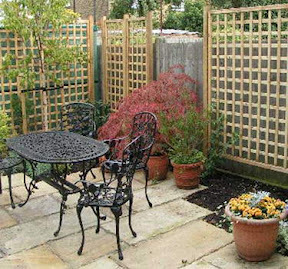 Choice of Plants: Depending upon the space available, choose plants based on your design scheme. Coleus is a delicate plant that grows to two feet or more, and has pink, yellow or crimson foliage. Balsam or Bougainvillea are other colorful favorites and are easy to maintain. Roses are enchanting but need a lot of care. Containers : Make sure your containers are large enough for your plants to grow into. Glazed ceramic pots are heavy and can withstand wind and retain moisture better than terracotta. Every container should have drainage holes. Mix hydrophilic polymer into the soil to avoid frequent watering. The polymers expand several times their volume in water, leaving the soil well drained and evenly moist. 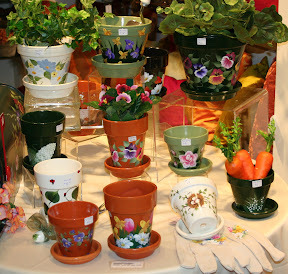 Watering : First arrange your garden and put all the pots in place. All you need is sun, soil, and water. Use a long hosepipe that attaches to a kitchen sink tap and can reach your balcony. Check the soil every day as plants may need daily watering when it’s hot and windy. Soak the soil until water drains out of the drainage holes. While the plants are small, place the pots fairly close together to help them retain moisture and protect them from wind. Move them apart as the plants grow. 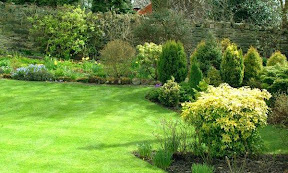 Apply the right dosage of fertilizers to plants as recommended .